The Camden CM-1000/60KD keyed switch consists of a thick aluminium surface box, brass finished keys and a chrome finished mortise cylinder lock. The cylinder measures 1 1/8” and the key is keyed different meaning a different key is needed to unlock each lock in a series. 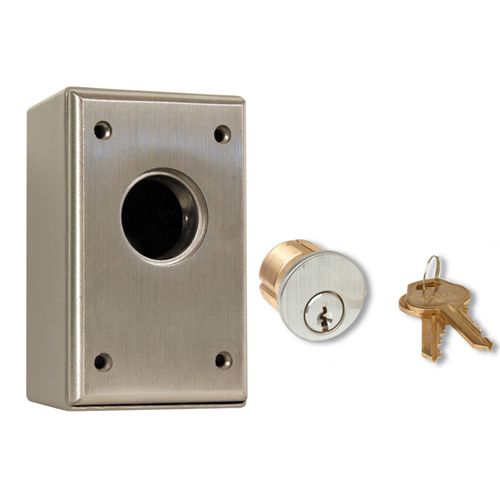 Ideal for office cabinets or other applications where a different key is needed for each lock.